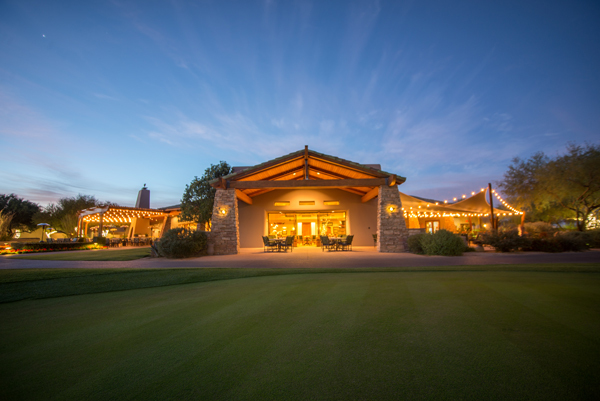 As Grayhawk’s PGA TOUR ambassador since the place opened back in ’94, Phil Mickelson’s stamp is on more than just the Grill’s name. 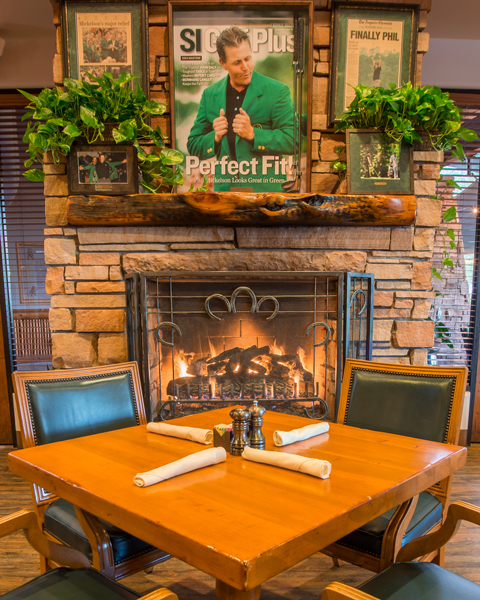 Memorabilia spanning his career from a Persimmons driver he swung during his junior golf days to various items chronicling his major championships adorn the walls of this casual eating and drinking establishment. 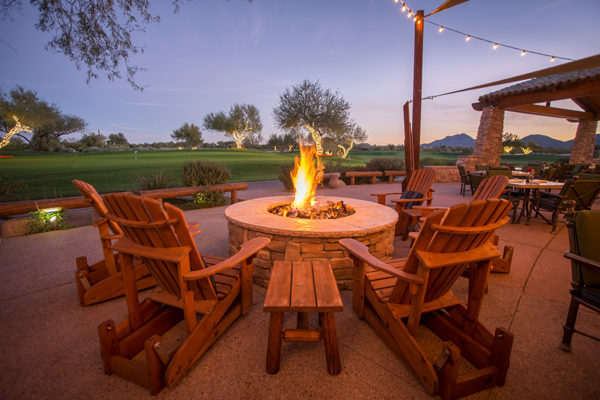 The warm and rich setting is wrapped in an assortment of comfortable touches that include a roaring fireplace, welcoming hard-wood bar and leather couches oriented towards a collection of TVs for maximum viewing pleasure. 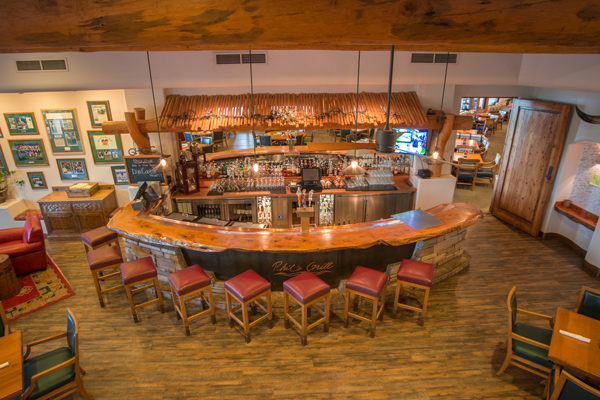 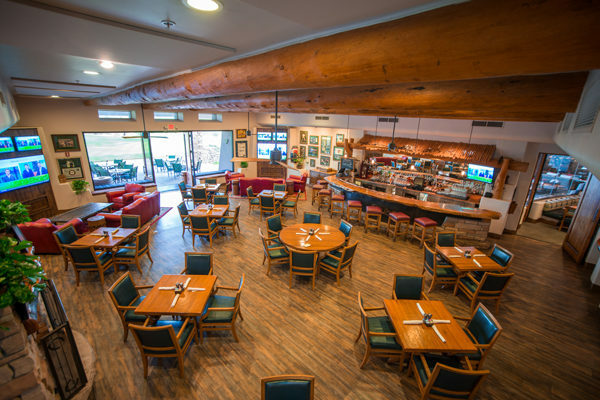 Phil’s Grill offers traditional table seating indoors as well as a spacious patio seating featuring the same stunning views found at Quill Creek Café. 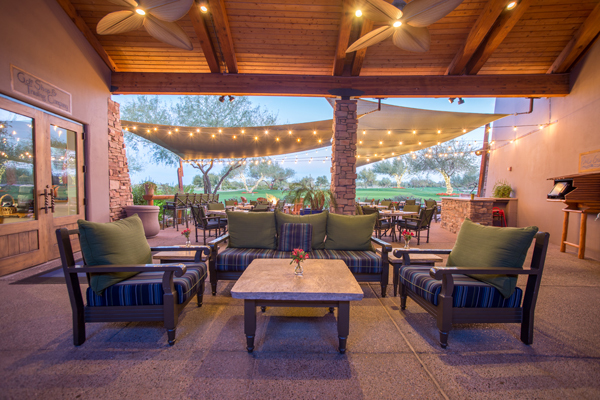 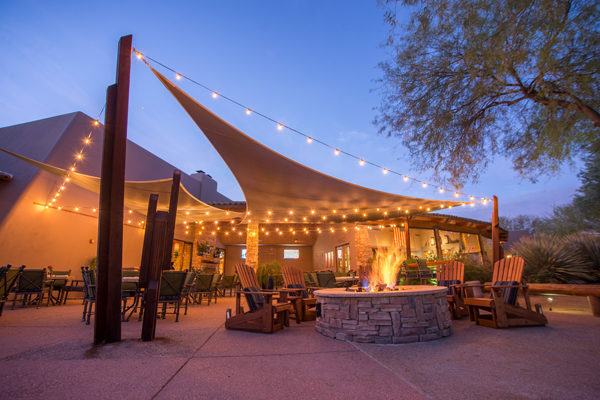 A circular fire pit and comfortable patio alcove outfitted with a large TV provides a great place to enjoy Arizona’s indoor/outdoor lifestyle while taking in the day’s big game and the pleasant weather on the patio. 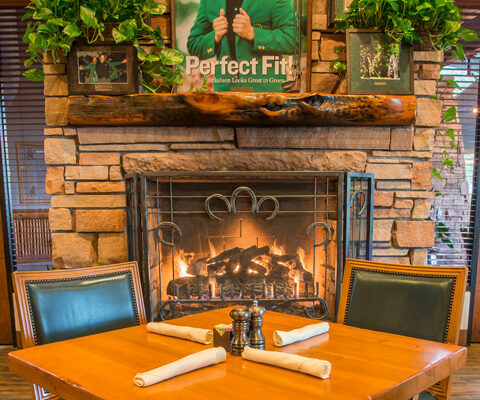 Taken together, Phil’s Grill offers a leather-clad hangout complete with cold beer and delicious fare that is a far cry from bar food. 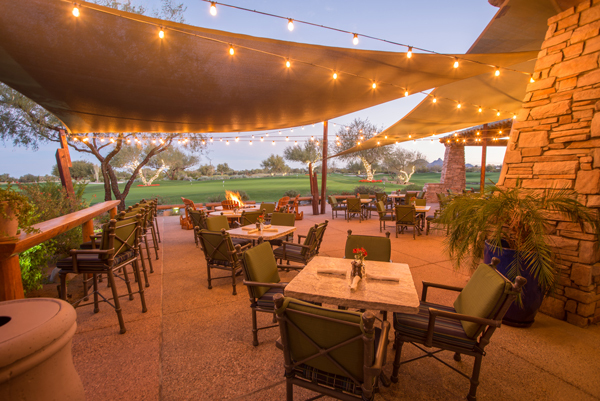 It’s the ideal complement to a day spent on the golf course; in fact, a post-round brew ought to be a mandatory part of the experience.